Poll: Show alien registration card when re-entering Japan? If you're living in Japan, need legal support or advice, and your income is limited, you may want to check out today's Lifelines column, in which I've included a few resources. If you have any other ideas or suggestions for this same topic, definitely let me know so I can write a follow-up article with more resources. The above column also answers a query from Andrew about the "official" policy of whether or not your alien registration card is requested and required to be shown when re-entering Japan. Immigration's official answer was that it is always requested, but I know from experience that this is not often (if ever) the case. So, I'd like to know what your experience has been by gathering info from the anonymous survey below and hopefully publish these findings in an upcoming column (if I can get enough responses). If you've re-entered Japan (any number of times), please answer the multiple choice questions below and then share this poll with other Japan residents. Let's see if Immigration is true to their "rules." Many thanks in advance! *If you receive blog post updates via email or a feed reader, I'm not sure if the poll below will show up for you. If it doesn't, just click the title of the post to be brought to the online version. 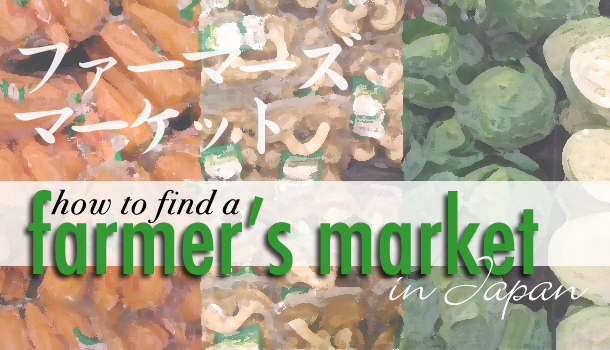 If you’re looking for a way to save money while living in Japan, buying produce from local farmers is a surefire way to do just that. Some local supermarkets have a small section devoted to local and/or organic produce (and, depending on the area you live in Japan, the produce may already be local anyway! ), but a great way to find it is by visiting a farmer’s market (ファーマーズマーケット) or “morning” market (朝市, あさいち, asaichi). I've been trying to do research to help out Paul and his fiance over the past few months, who are planning to get married in September and want to do so in Kyoto, Japan. You may already know I'm about to have a baby any day now, so I'm hoping that some of you may have some fantastic advice for the happy couple. They want to hold the wedding in the Kyoto area (but doesn't have to be in central Kyoto, could be outside of it, etc.) The ceremony will just be the two of them, so they don't need to find a formal event locale necessarily, just someplace they can have a small ceremony, such as a park. (Maybe even along the lines of what my husband and I did at a park in Saitama...) So, Kyoto-ites, and anyone else who's spent time in the area, any recommendations? They need a photographer (and are willing to pay for one). I have a list of photographers already, but if you haven't given me your name, feel free to email me or leave it in the comments with your website/contact info. They need someone to perform the ceremony. They aren't really religious, so they don't have a preference regarding that. So if you know someone who might be able to help them, please contact me or mention in the comments below. Finally, and I've been trying to work on this but perhaps some of you have better contacts - they would like to rent/use a classic American car. We’re down to the wire with less than 2 weeks to go until baby’s due date. The past 9 months (or 10 if you go by the Japanese system) have flown by and I’ve found myself hustling to get things ready beforehand. I haven’t written a “pregnant in Japan” post in a while (though they’ve been in my queue), so this time I want to write about what you might typically expect at a doctor visit when you’re pregnant in Japan. 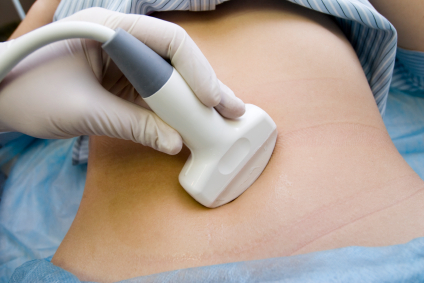 Of course, specifics will vary depending on location, the doctor, and other factors. I’ve gone to a few different doctors in my entire process, two of which I’ve seen regularly, and what happens at each visit has been fairly standard and similar. As for how often you’ll visit the doctor if you're pregnant in Japan, the typical schedule is once a month from 12 to 23 weeks, every two weeks from 24 to 35 weeks and once a week from 36 weeks on, unless you go over 40 weeks, as then you’d probably visit the doctor twice a week. Those of you who’ve already been living in Japan for some time likely know that on occasion, doctors hand out medicine in powder form rather than easier-to-swallow pills. So far, I’ve been fortunate enough to not have been prescribed anything powdery (surprisingly, given my many visits to the doctor in Japan). Despite my own experience though, many people are prescribed medicine in powder form and are often stumped as to how they are supposed to take it (or, they have a miserable time taking it). 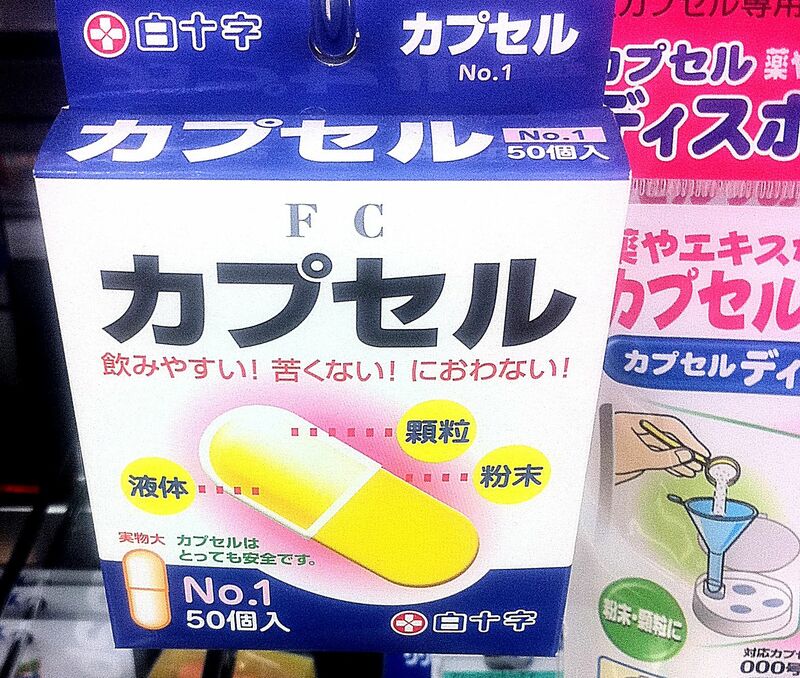 While browsing at the drug store in the first aid section, I came across a small box of “capsules”, or カプセル. The capsules are empty medicinal capsules you can use to make taking powdered medicine easier. When I first came to Japan, floss was slightly difficult to find (though not impossible). Over the past few years since, I've seen more options pop up at local stores (including western brand Reach). 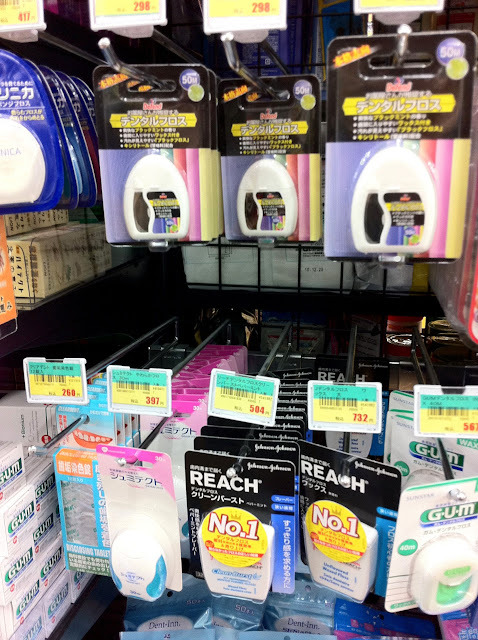 So, if you're worried about finding floss in Japan, well, there's no need. I should note that if you live in a small town far away from most civilization, you likely won't find a great floss selection (if at all), but it is possible to order online. Lots of floss at this particular store (and not even in a large city). If you're a long-term resident in Japan (or planning to stick around long-term), you may have thought once or twice about estate planning. Or perhaps you've already written up a Will. If you know of other resources to share regarding the topic of Will preparation in Japan, please let me know.